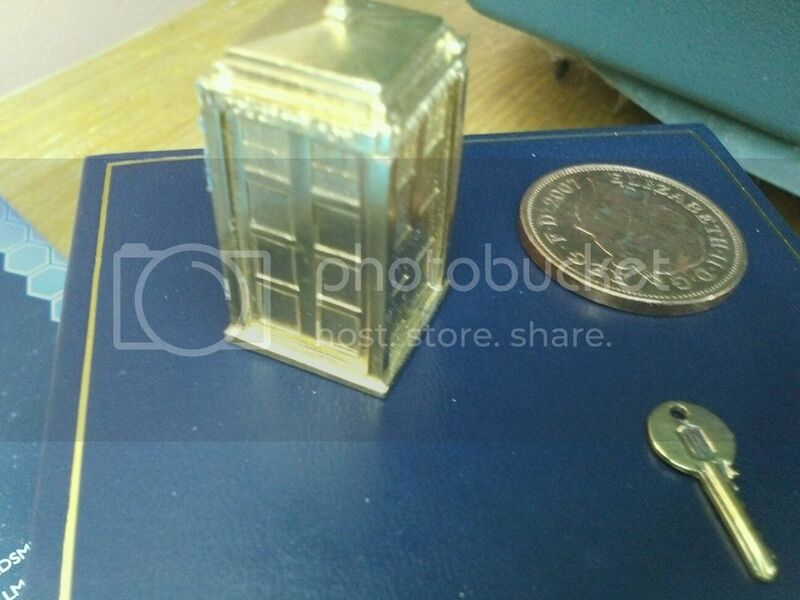 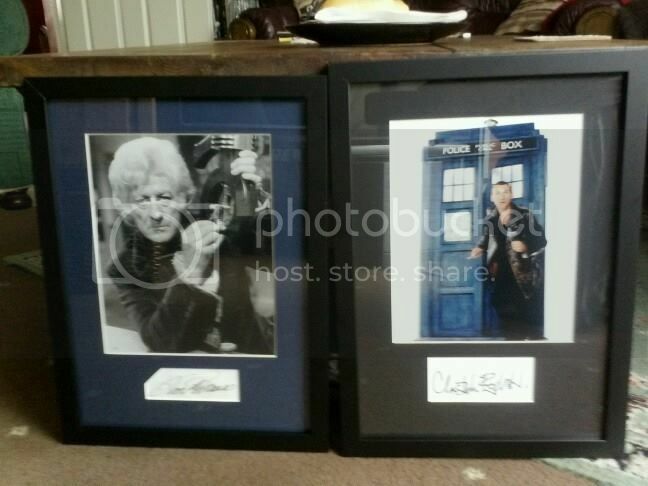 Both of us remember the Classic series from the late 1960's onwards and are big Jon Pertwee fans. 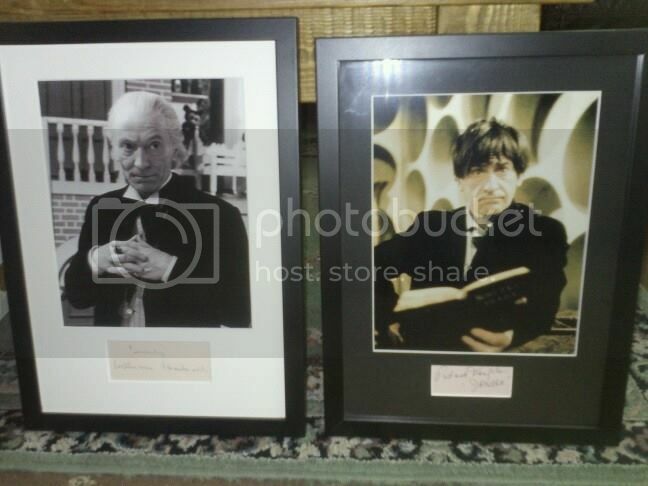 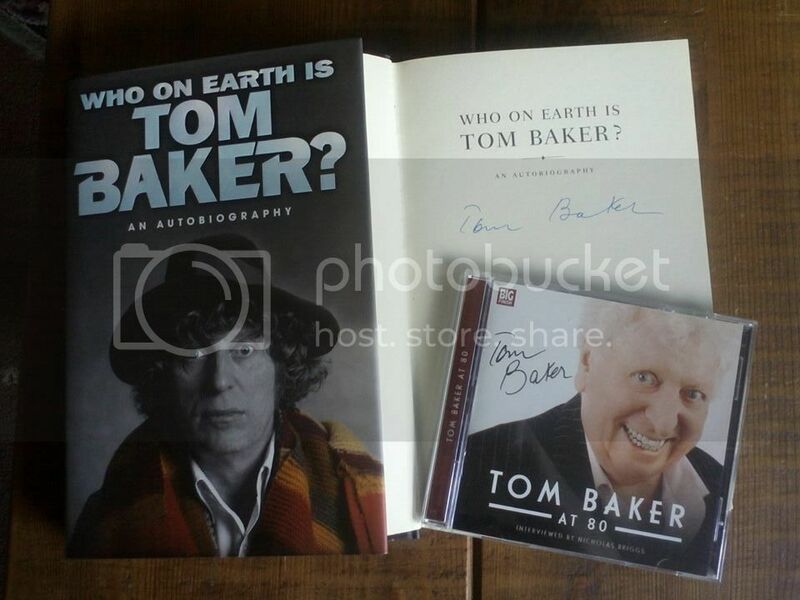 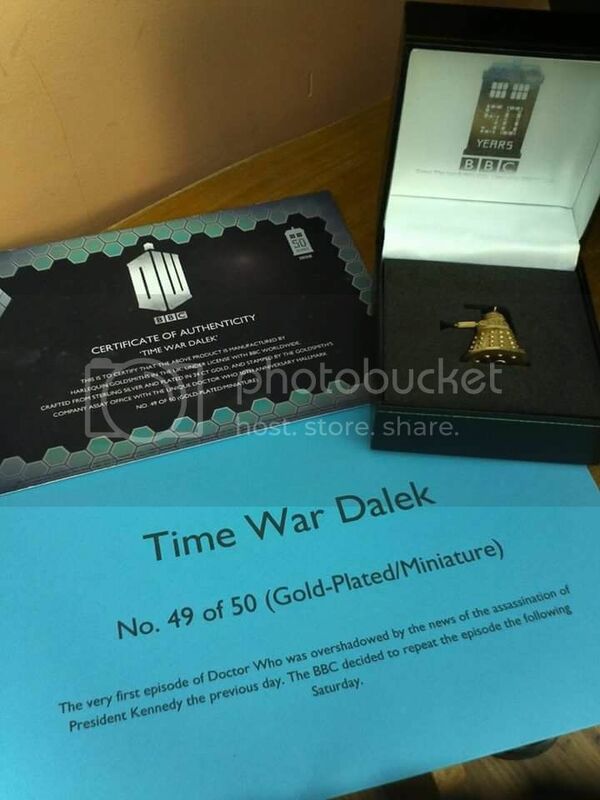 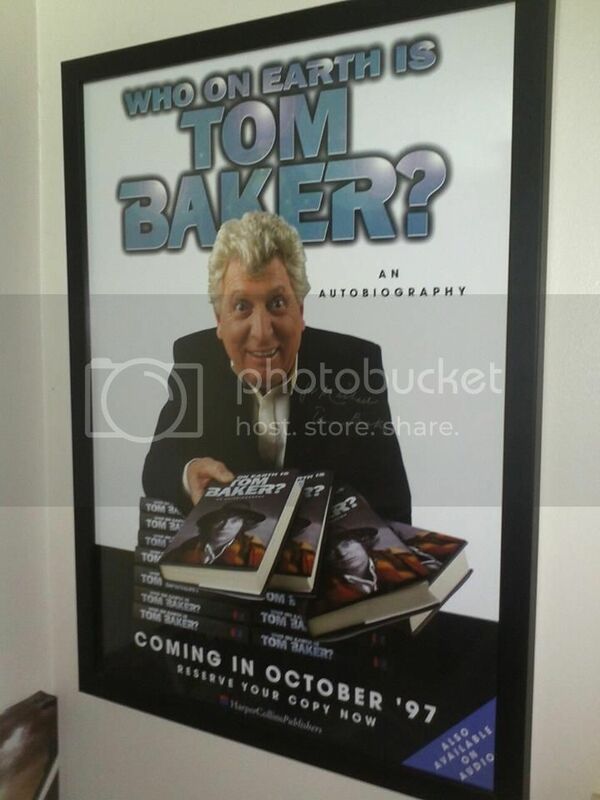 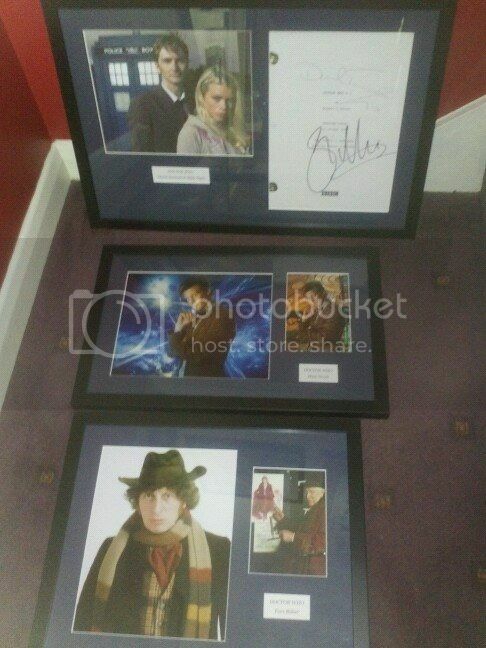 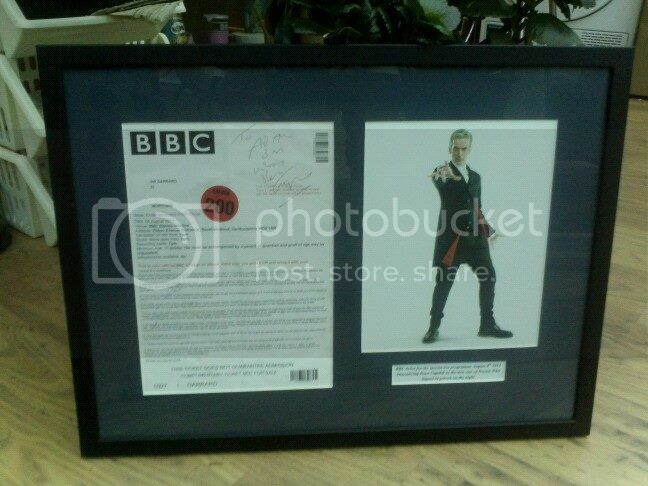 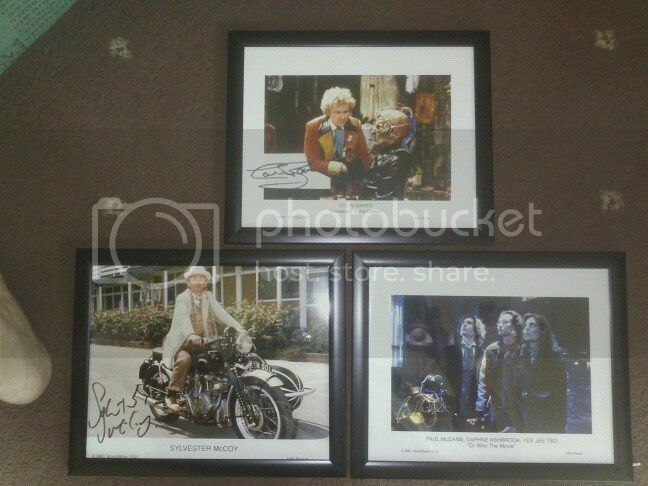 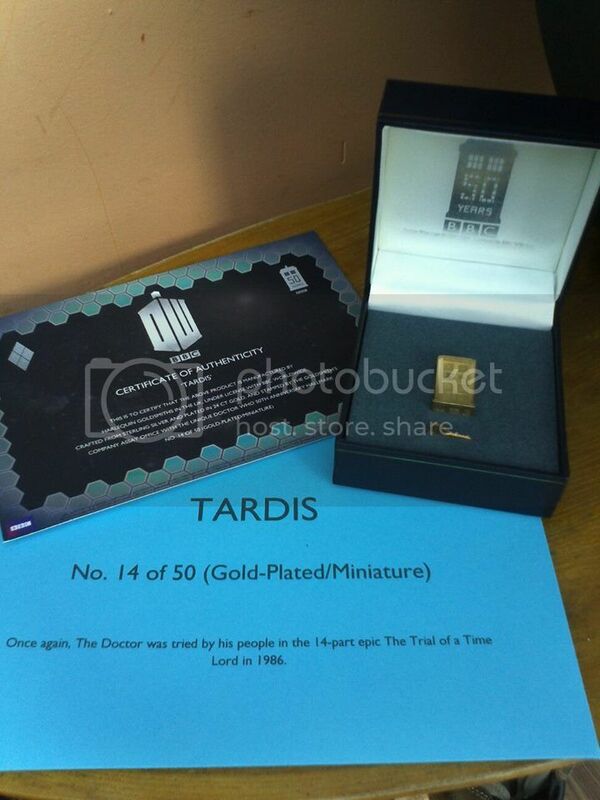 Our collection consists of autographs , various books (many signed), figures, boxsets and general memorabilia. 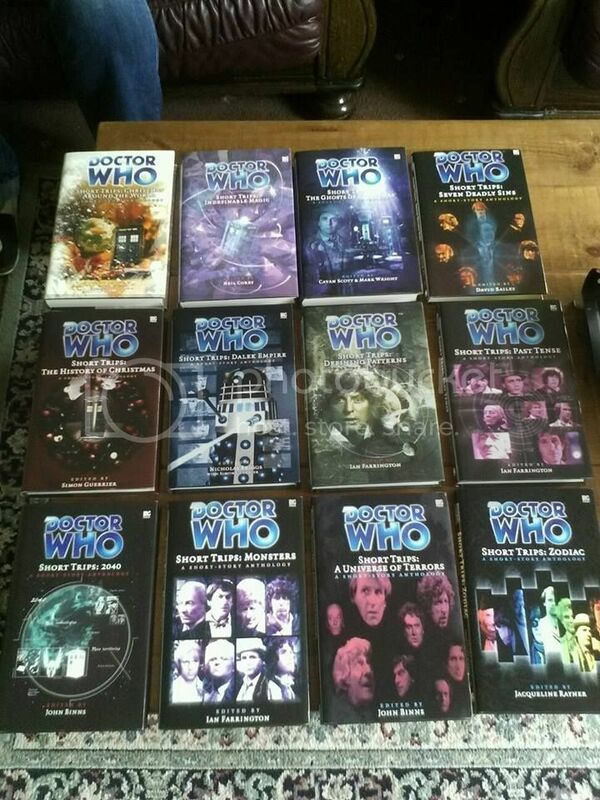 We have a full library of videos and dvds many of which are also signed .We also share our house with a full size Renegade Dalek .There is barely a space within our home that isnt dedicated to Doctor Who.This is just a very small selection of our eclectic collection .We will be uploading many more photos over the coming weeks . 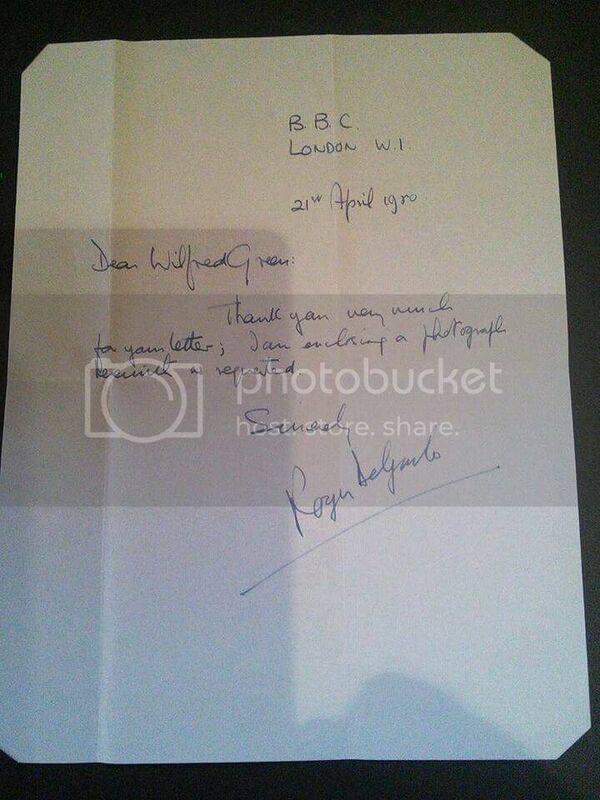 Just added a rare Roger Delgado signed letter from the Wilfred Green Collection . 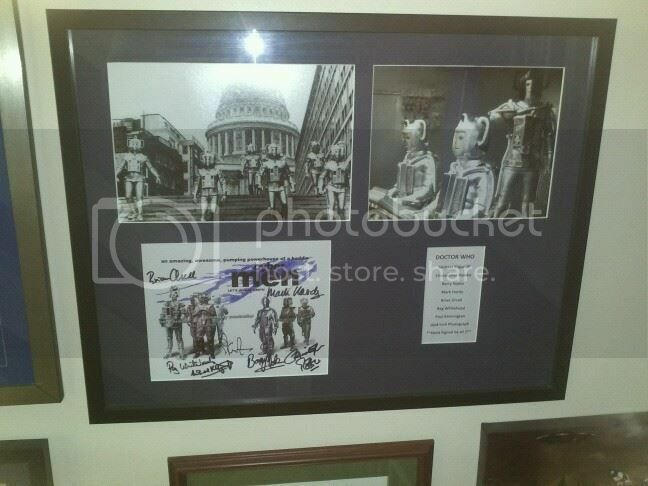 This has been fully authenticated by Garry King, who is a leader in the field of Autograph Authentication . 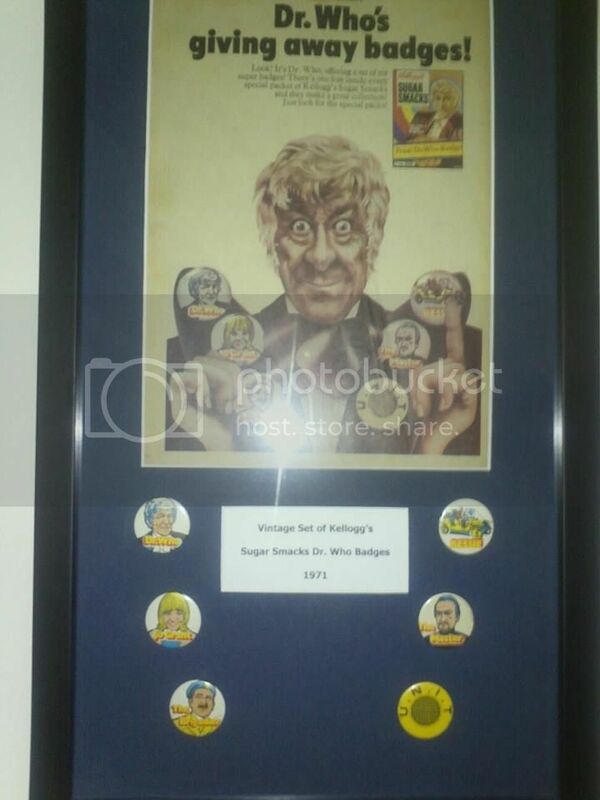 Full set of Sugar Smacks 1970s badges displayed with an original advert within a full copy of the Tiger comic. 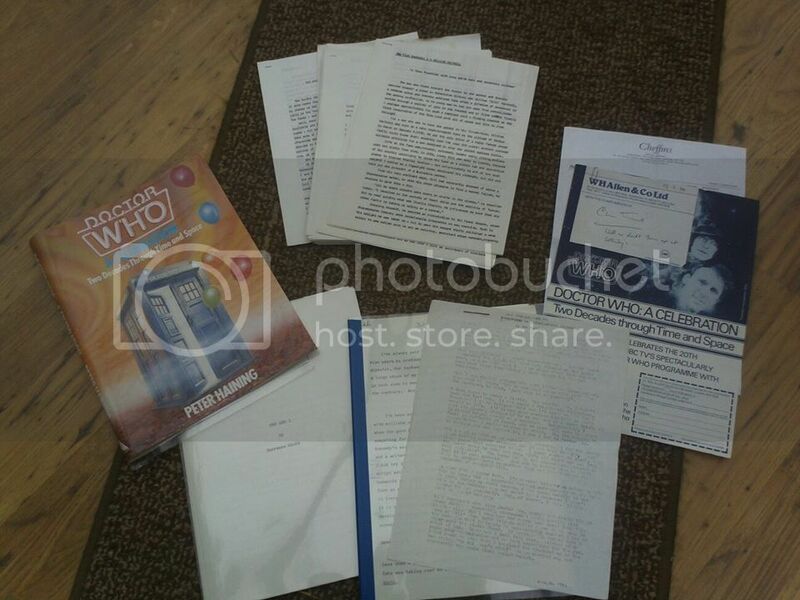 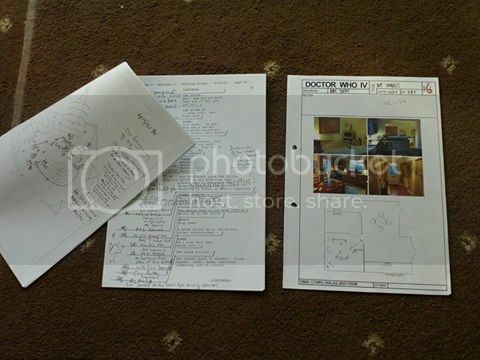 All of the pictures on this page are the property of GARY BRIGNELL and may not be used or reproduced in any way without their explicit written consent.